Little workers need heavy duty toys to build the roads to their forts and haul away debris. 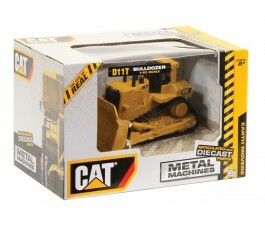 Our selection of CAT toys will give them the machinery they need for a hard day at play. We have the CAT Sorter Dump Truck for the little builder who is learning shapes and various CAT Mini Tough Trucks equipment for the little worker. Our CAT 14" Juniors are just the right size for little hands. Shop online or visit our stores and see our complete selection of CAT toys. We offer competitive pricing that often is better than big box retailers' sale prices.